Despite the enormity of the challenge, evidence and experience strongly suggest that substance use problems can be reduced. Such efforts require the political will to tackle the problems and a smart mix of government policies, education activities, and mobilization of communities and NGOs. Particular attention should focus on implementing evidenced-based strategies, which necessarily include interventions to reduce the availability and the affordability of alcohol and illicit drugs. WHO recently launched a new action package – SAFER. It aims at supporting the global target of reducing harmful use of alcohol by 10% by 2025. The initiative has been strongly supported by several global civil society networks. In 2016, the harmful use of alcohol resulted in some 3 million deaths (5.3% of all deaths) worldwide. Mortality resulting from alcohol consumption is higher than that caused by diseases such as tuberculosis, HIV/AIDS and diabetes. 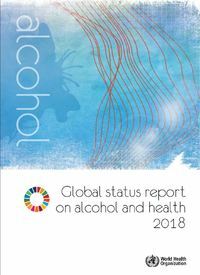 These are among the new figures presented by the World Health Organization (WHO) in the Global status report on alcohol and health 2018 released today. The report also demonstrates that the age-standardized alcohol-attributable burden of disease and injury was highest in the WHO African Region. In the end of November civil society leaders, researchers and government representatives will meet for Uganda’s first national alcohol policy conference. 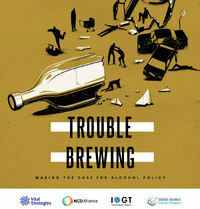 Topic: “Unite against alcohol harm: A call for action”. 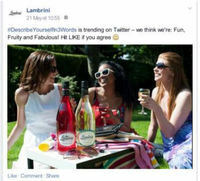 Regulations on alcohol advertising must to a larger extent focus on exposures in social media, as these media play an increasingly larger role, both in marketing strategies and in young peoples’ lives. This challenge comes from a newly published report in the UK. The newly established West African Alcohol Policy Alliance was officially launched with a ceremony in Freetown, the capital of Sierra Leone. Professor Isidore Obot welcomed the new branch of the Global Alcohol Policy Alliance in his capacity as vice-chair of GAPA: “WAAPA is a strongly needed civil society voice”. 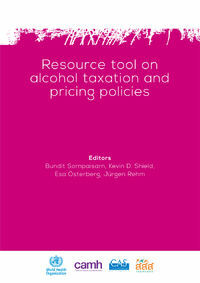 A very good and timely resource tool on alcohol taxation and pricing policies is now available from the World Health Organization. The objective is to support national implementation of the Global Alcohol Strategy from 2010. 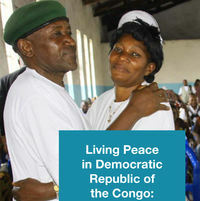 The Living Peace programme to reduce intimate partner violence in DRC reports improvements in a number areas, a reduction in alcohol and substance use being one of them. The intervention led to a decrease in the use of aggression and violence, a new report concludes.